A very substantial table designed for a firm of interior designers. 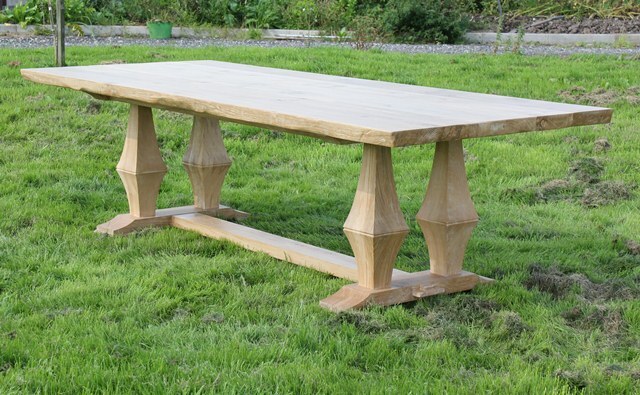 The refectory style base was finished with a 3 inch thick natural edged top. The table had a limed oak finish. This table was 2.6m x 1.2m and so would very comfortably seat 10 diners.